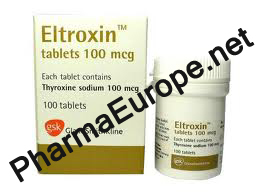 Thyroxine is a synthetically manufactured thyroid hormone. It,s affect is similar to that of natural Thyroxine(L-T4) in the thyroid gland. Thyroxine is one of two hormones which are produced in the thyroid. The other one is L-trliodthyronine (L-T3). Thyroxine is used to accelerate the metabalizing of carbohydrates, proteins, and fat. The body burns more calories than usual so that a lower fat content can be achieved or the athlete burns fat although he takes in more calories. As carbohydrates and protein are burned as well the athlete needs to take steroids to stop the loss of muscle mass though he will become much harder. When used properly there are few side affects, if the dosage is too high it can cause trembling of the fingers, excessive sweating, diarrhea, nausea and weight loss. Suggested dosage 200-400 mcg a day start with a small dose and increase it gradually and evenly over several days.